Pts Maxxshop is Great Prestashop 1.6 Template suitable for Handmade Store, Fashion products Shop, Hightech Store, Gift Shop, Electronics shop and all kinds of marketplace business that needs a feature rich and beautiful presence online. This Template included three skin colors with multiple blocks combined with parallax features, great Slideshow Module having many Animation JQuery Effect, Google Fonts, Power Megamneu Module having great design Make Mega Column Tool and many other nice modules that make your site very nice and rick features. 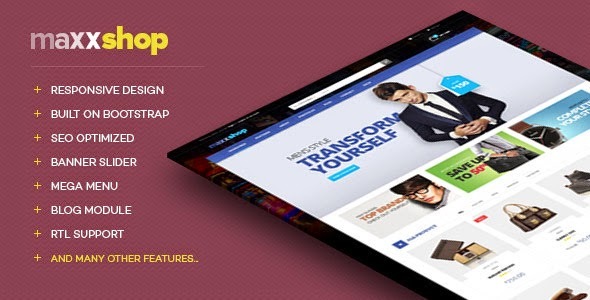 Item Reviewed: Pts MaxxShop New Flexible Prestashop Theme 9 out of 10 based on 10 ratings. 9 user reviews.